The Nebraska State Fair is the premier opportunity for 4-H members to showcase what they have learned and worked on throughout the year. At the State Fair, we celebrate the successes of thousands of youth who have learned and grown through 4-H. The State Fair is a prime opportunity for 4-H members to cultivate skills they have learned in 4-H projects, put their life skills and good character to work, discover new areas of interest, and meet new people. The Nebraska State Fair is held each year at the Nebraska State Fairgrounds in Grand Island, Nebraska. This year's event will be held August 23 - September 2, 2019. Nebraska 4-H is only one part of the Nebraska State Fair. For more information about other activities, events, and contests happening, please visit the Nebraska State Fair website. Experience 4-H at the Nebraska State Fair from wherever you might be! 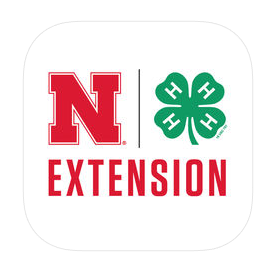 Download the 4-H at the Nebraska State Fair App for your iPad/iPhone or Android mobile device. App users will be able to see a schedule of 4-H events, the results of all static exhibits and contests, 4-H news from the State Fair, and a fair map. When visiting the 4-H Exhibit Hall at the Nebraska State Fair, be sure to check out the 4-H Scavenger Hunt for a chance to win some new 4-H gear!